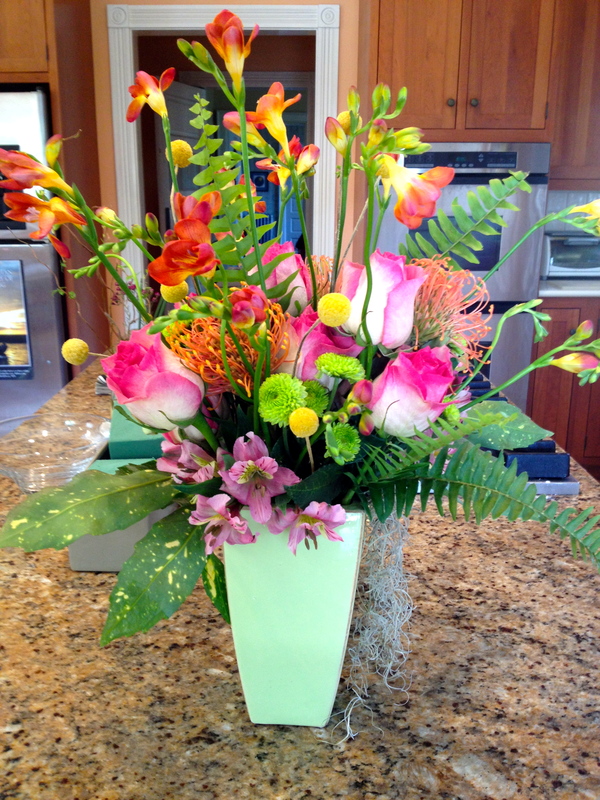 I started my day making a birthday arrangement for a friend of the family named Pat, who is my stepmom’s dear friend and probably the hardest working person I know. She’s in the restaurant biz, and owns a cute restaurant in Downingtown called The Blue Cafe together with her husband Paul. Go there, the food is great! Pat is the kind of person who will literally hug the stuffing out of you, whose perkiness precedes her, and despite having been through some tough times, always manages to see the positive in everything and everyone. 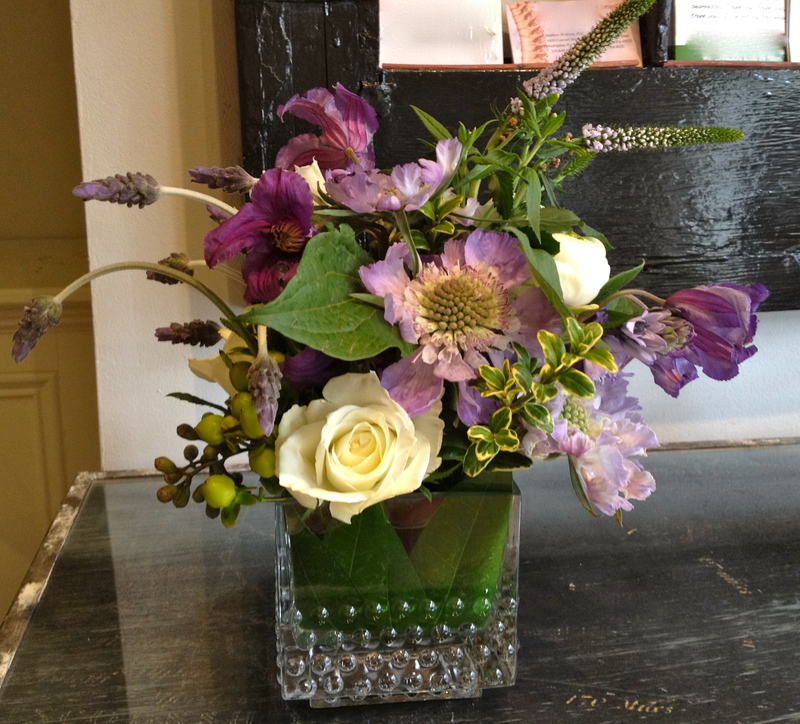 Julie picked up most of the flowers and I put them together – quite a cheerful mix, just like Pat herself! Happy Birthday Pat. 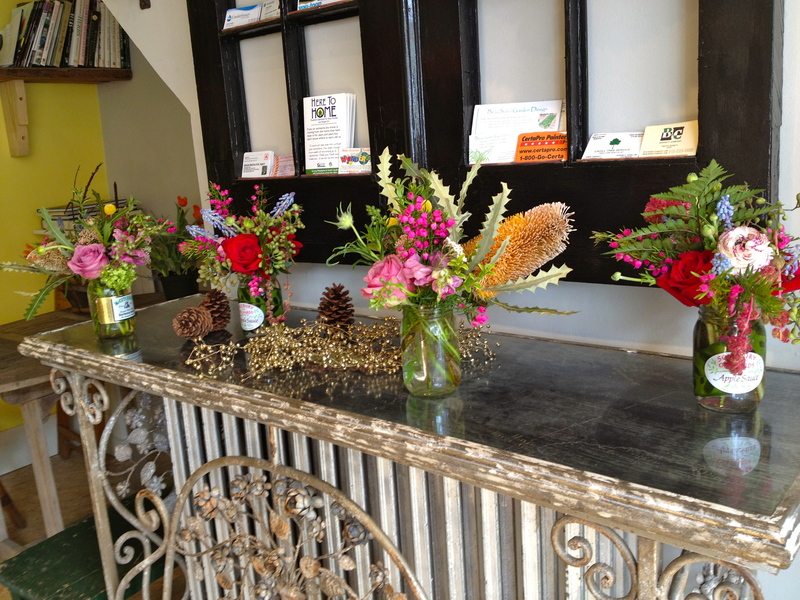 Then I scooted off to falls flowers for my weekly dose of apprenticing. The materials Peicha selects for her shop are really exquisite, and there’s always something I’ve never seen or worked with before to choose from…which makes designing pure heaven! Meet Boronia heterophylla, as I did for the first time today. 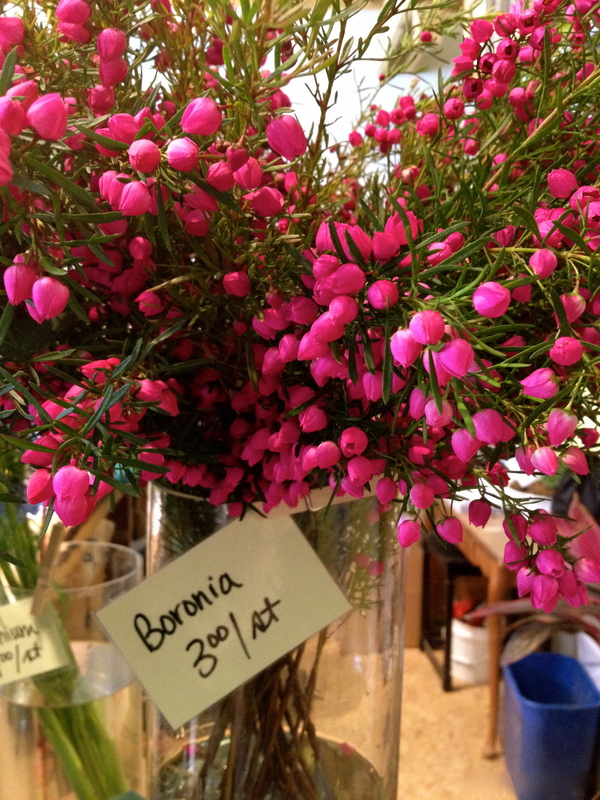 A shrub native to Australia cultivated for the cut flower trade, boronia has fairly long stems of vibrant pink flowers and a fruity, tea-like fragrance. It really pops! 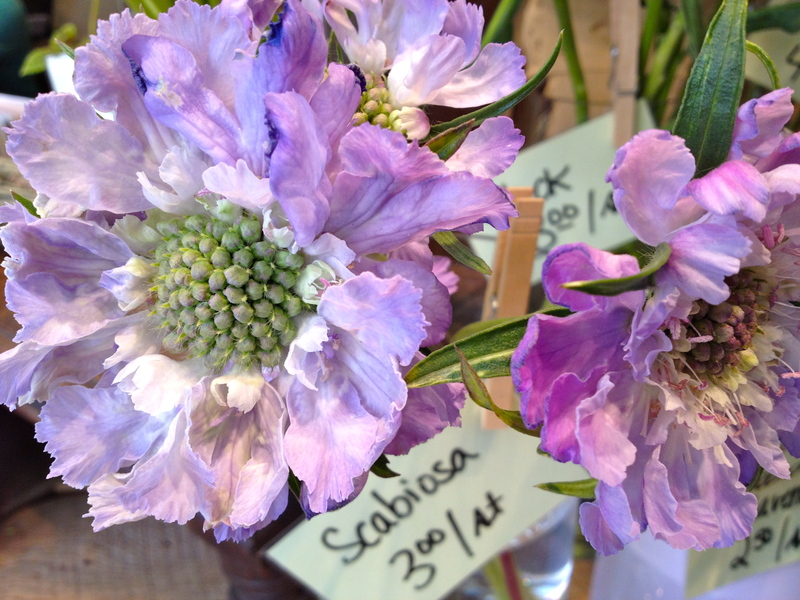 Now, here’s another delicious dish of a flower – and don’t be afraid of it’s Latin name – Scabiosa. They can range in color from white to light lavender, to blue, to purple, to deep maroon. How very romantic. 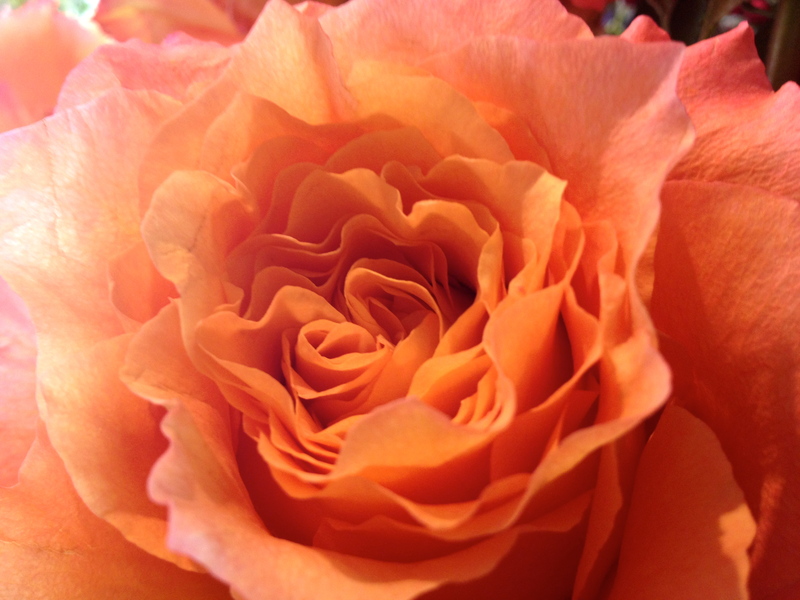 'Free Spirit' Rose - couldn't you dive right in? 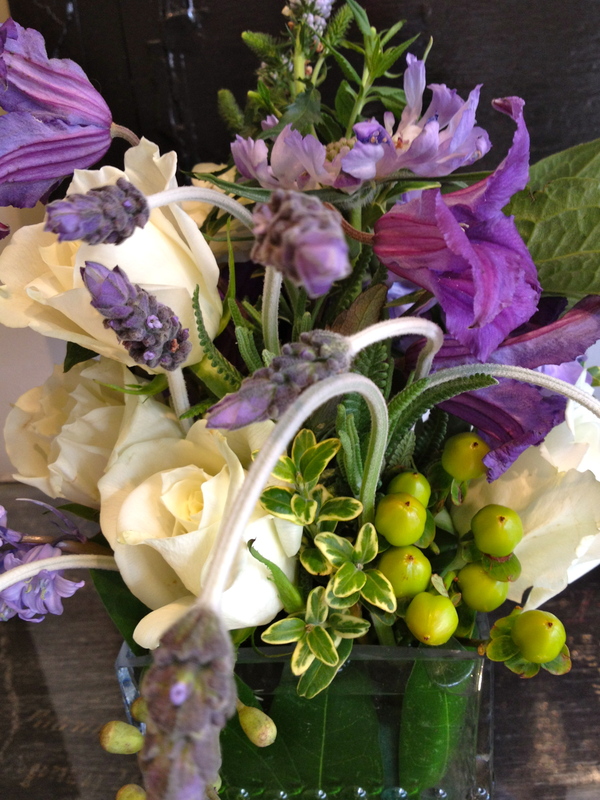 My thirst for loveliness partially quenched, I set to making a few arrangements that had been phoned in. 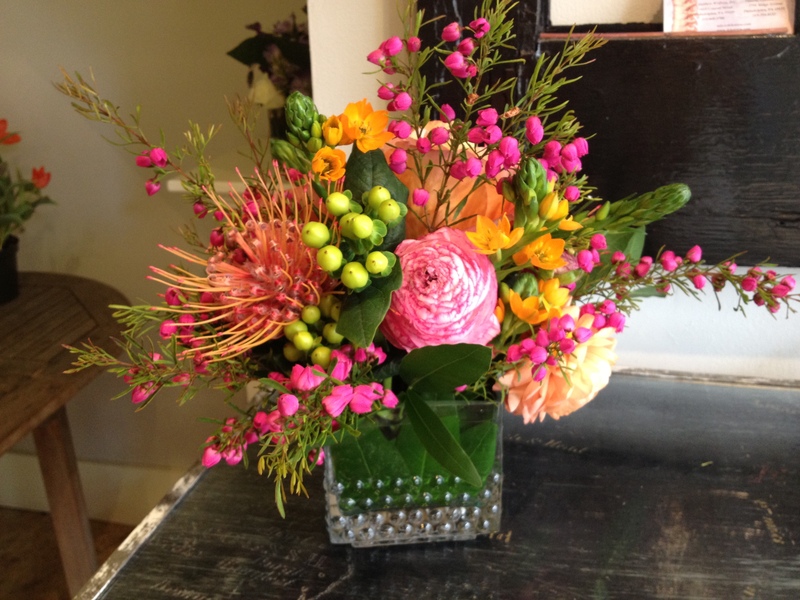 This one was the April representative for a customer’s ‘year of flowers,’ something I think everyone should do! 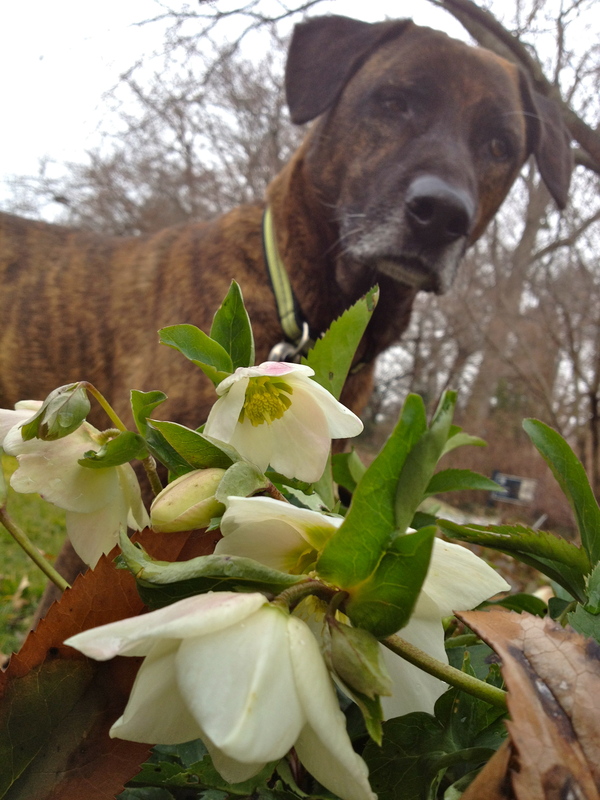 Wouldn’t that make a lovely mother’s day gift: a year of flowers? 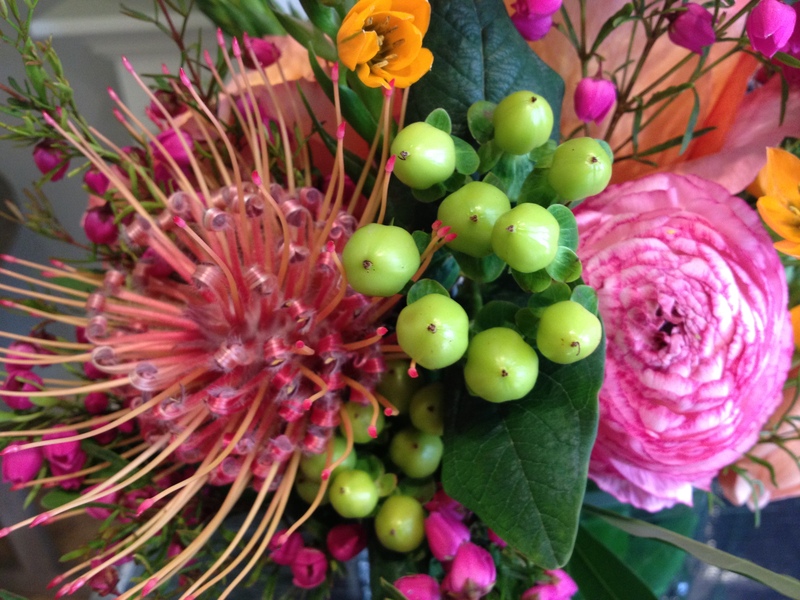 Next up, a birthday arrangement for a customer whose only specification was they wanted it to be “WOW.” My interpretation of wow included the use of protea, orange ornithogalum, boronia, ranunculus, Free Spirit roses, and hypericum. Thanks for letting me have full creative license today, Peicha! I had a blast. I never thought I’d put pink, orange, bright green and yellow together in one design, but I actually did it twice in one day…and I may do even do it again someday.